Top-level security certifications at affordable prices. I bought an SSL Certificate from GoDaddy. The setup was very easy. Within 15 minutes the SSL Certificate has been activated. GoDaddy provides us with the best encryption. 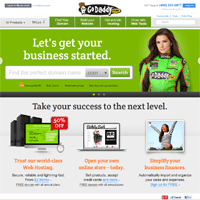 I am very happy with GoDaddy. Convenient for the prices.